My weekend did not turn out as I had planned. I ended up getting a bad cold and I was pretty much out for the count for most of the weekend. It was hard for me to even sit at my computer to write - All I wanted to do was sleep, but even that was hard to do because I could not breathe! Fortunately today is a new day! I can breathe again. When I am really sick, I think back to those tender times as a child - when my Mommy would take care of me. Mom was old fashioned because she never took us to the doctor. She never called an advice nurse. She just knew what to do, instinctively. And to be honest with you, she did pretty doggone good. I never even took an anti-biotic until I was a young adult. Having a depression/WW2 era Mom had it's advantages and I learned a lot, even though at the time I thought she was so "old school". 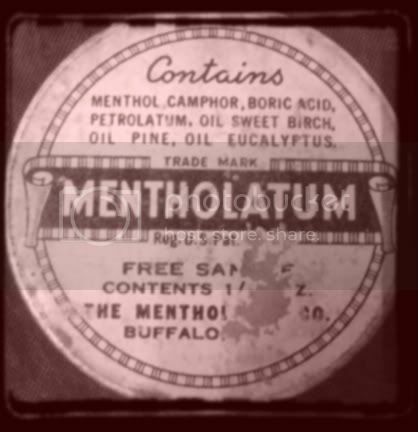 For colds or congestion: Mom would spread my chest and back with Vick's or Mentholatum. She'd place a warm diaper or hand towel, on the front and back of me, pinned with diaper pins. It felt so good as the vapors would penetrate within my chest and up to my nose. Of course I had my flannel PJ's and she'd give me either a lemon-honey toddy or when I was older she'd actually give me a real hot-toddy that would knock me out! It always worked! During the day, sipping chicken soup, gargling with warm salt-water for a sore throat and sometimes a steam-shower if I had major congestion. She also kept the sick child, confined to their room, in our beds. That way, the whole family didn't catch it. They'd even move in their little TV set from their room so it was special. She also was big on "fresh air". She would open my bedroom window, and let the cold fresh air come in for about 15 minutes as I stayed bundled up in my bed. She would also wash or air out my blankets and give me fresh ones during the day. I'm telling you, getting sick at my house when I was a child, was something special. With medical costs so high, and many without insurance - it just stands to reason that we really should take a good look at what has worked for previous generations. Within reason of course. As my children's Doctor told me once "You know more than you think you do". That simple advice gave me the confidence and freedom to treat my children's ills FIRST at home - before making an appointment. My own mother was never very nurturing, EXCEPT when we were sick. The Vicks, hot soup, etc...my mom took care of us in much the same way.